Free shipping. Buy direct from HP. 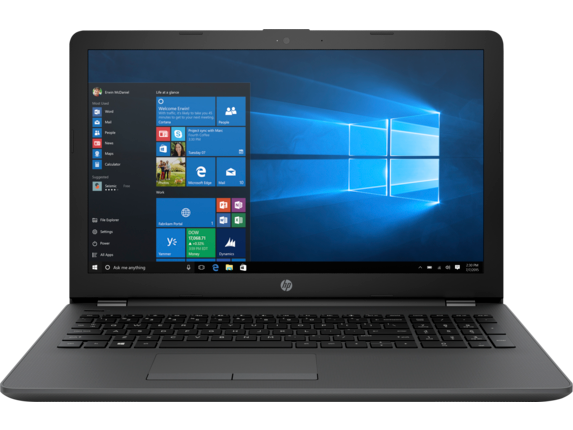 See customer reviews and comparisons for the HP 250 G6 Notebook PC (ENERGY STAR). Upgrades and savings on select products. Confidently complete projects with the power of a 7th Gen Intel® Core™ processor  and fast memory. HP, a world leader in PCs helps equip you with a fully functional notebook ready to connect to all your peripherals  and designed to fit the needs of business with an RJ-45 port and a VGA port. Confidently complete projects with the power of a 7th Gen Intel® Core™ processor and fast memory. 1 HP Touchpoint Manager requires purchase of a subscription and supports Android™, iOS and Windows 7 (SP1) or Windows 8.1 or higher operating systems and PCs, notebooks, tablets and smartphones from various manufacturers. Not available in all countries see www.hp.com/touchpoint for availability information. 2 HP DVD Writer drive is sold separately or as an add-on feature. HD-DVD disks cannot be played on this drive. No support for DVD-RAM. Actual speeds may vary. Don’t copy copyright-protected materials. Double Layer discs can store more data than single layer discs. Discs burned with this drive may not be compatible with many existing single-layer DVD drives and players. 3 Requires an internet connection. 4 Firmware TPM is version 2.0. Hardware TPM is v1.2, which is a subset of the TPM 2.0 specification version v0.89 as implemented by Intel Platform Trust Technology (PTT). 5 Wireless access point and internet access required. Availability of public wireless access points limited. The specifications for the 802.11ac WLAN are draft specifications and are not final. If the final specifications differ from the draft specifications, it may affect the ability of the notebook to communicate with other 802.11ac WLAN devices. 6 Not all features are available in all editions or versions of Windows. Systems may require upgraded and/or separately purchased hardware, drivers, software or BIOS update to take full advantage of Windows functionality. Windows 10 is automatically updated, which is always enabled. ISP fees may apply and additional requirements may apply over time for updates. See http://www.windows.com. 7 Multi-Core is designed to improve performance of certain software products. Not all customers or software applications will necessarily benefit from use of this technology. Performance and clock frequency will vary depending on application workload and your hardware and software configurations. Intel’s numbering is not a measurement of higher performance. 8 Sold separately or as an optional feature. Get the most value for your money from this budget-friendly device without sacrificing the features and power you need to achieve your work goals. 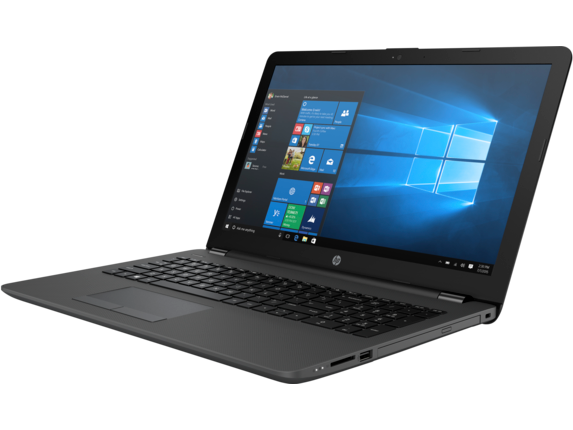 The HP 250 G6 was constructed from the ground up to be a durable business notebook that can stand up to all of your demands. Excel spreadsheets, Adobe Photoshop, and other RAM-heavy applications can slow down an inferior laptop so don’t settle for anything less than you deserve. The HP G6 15.6 will take you to an entirely different world of productivity and success, capable of handling complex computing tasks that leave other devices in its class in the dust. A durable chassis helps protect your device from accidents like bumps, scrapes, and scuffs. That familiar near-heart attack feeling when you set down your laptop bag a little too hard? 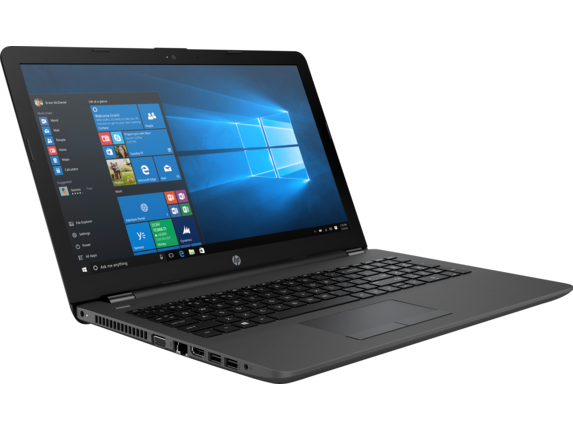 It’s been officially downgraded to a passing worry thanks to the robust design of the HP 250 G6. At under five pounds, this laptop is ultralight and stylish so it’s at home in any work environment whether that means an airport terminal, a hotel room, or your main office. Confidently work through your day with a reliable battery that lasts up to 12 hours. It’s time to say goodbye to being chained to outlet proximity. This is what liberation feels like. Need to replace the battery? The user-friendly construction of the HP 250 G6 notebook PC means easy access to the battery at the end of its life cycle. Enjoy enterprise-grade security and incredibly powerful tools for management so you can control all aspects of your PC with Windows 10 Pro 64, available with select HP laptops. Office files such as Word, Excel, or PowerPoint are automatically stored in the cloud. This virtual drive allows you to share documents with colleagues and collaborate with them in real time. Avoid the scourge of endless back-and-forth emails by working together on a project with second-by-second updates. You can even create your own private app section in the Windows Store to access the applications you need most often. Get your peace-of-mind back with Bitlocker which fastidiously guards sensitive information. Windows 10 Pro also includes Windows Defender Antivirus to keep up with today’s changing, modern technological threats. Choose the processor power that’s right for you from 7th Generation Intel® Core™ i3, i5 or i7 processors with an optional DDR4 memory. 4GB of memory and 500 HDD storage deliver quick computing speeds so you can easily pivot from task to task without your computer suddenly lagging. Two integrated stereo speakers, a webcam, and microphone deliver reliable picture and sound quality so your business meetings can continue uninterrupted. Experience dependable video conferencing without distracting buffering or pixelated images. The only thing you’ll have to focus on during your video conference is making your thirty second elevator pitch. You provide the ideas, HP® backs it up with the tools to breathe life into them. 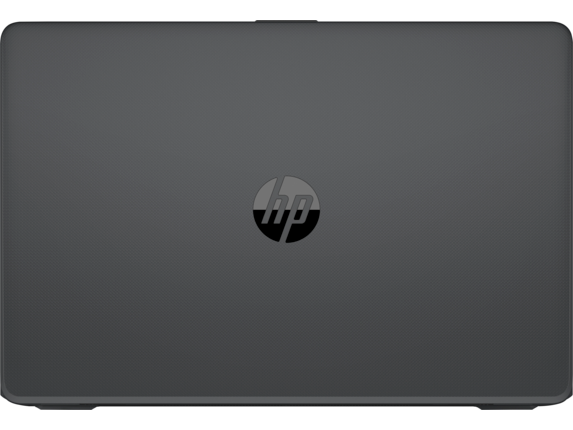 On the left side of the HP 250 G6 15.6-inch laptop, you’ll see ports for VGA, HDMI, two USB 3.0 ports, and a 3.5 mm audio jack. On the right side of the notebook, there’s an optical drive, a USB 2.0 connector, and an SD card reader. These ports provide you with ample opportunity to take your laptop from basic to extraordinary, or to simply mimic a desktop experience with external accessories. Most of the ports are on the left side so they’re out of the way while you’re working. In addition, the main heat dispersing vent is on the left side, where it can freely output hot air without affecting your workflow or mouse position. A full-sized island-style keyboard delivers a comfortable and responsive typing experience. An intuitive touchpad includes multi-touch gestures with taps enabled as default. No detail will escape your notice with the 15.6-inch diagonal HD SVA anti-glare slim LED-backlit (1366 x 768) screen. The anti-glare screen helps mitigate overly-bright rooms or sunshine so you can focus on business-critical tasks, not on constantly rearranging your screen. Integrated Intel HD Graphics 620 provides you with an unbelievable picture for browsing or watching your favorite TV shows when the work day is finally over. Work hard without draining your resources, this laptop is ENERGY STAR® certified so you can be confident you’re doing your part to reduce your carbon footprint. HP® offers a range of HP notebooks to suit every lifestyle and workflow. 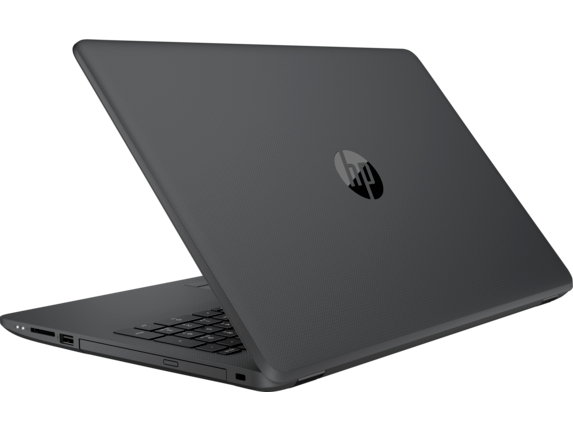 Whether you’re looking for an HP Chromebook for basic computing or a laptop ready to take on heavy video editing, there’s something for everyone.